At Partitions and Stalls, we’ve specialized in providing customers with the best option for toilet paper dispensers and other bathroom parts since 1970. Our customers call us from all over the U.S. to make sure that they get the right bathroom accessories and parts on their very first order. That’s why we stock a wide selection of toilet paper dispensers that will suit the needs of any public restroom. 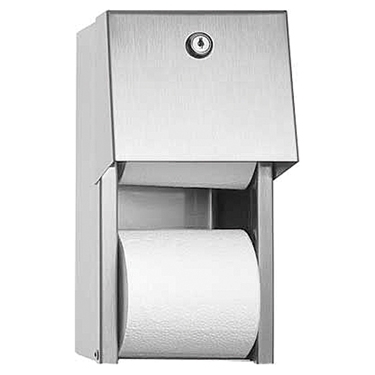 We carry tough plastic, stainless steel and chrome plated toilet paper dispensers for surface mounting, as well as single and double roll applications available for standard and 9" toilet paper rolls. American Specialties offers most of their products will ship in 48 hours then travel time to customers. 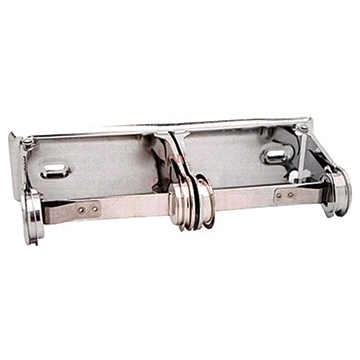 Most toilet paper holders are constructed of a type 304 stainless steel and 18ga steel for long lasting. With covered paper dispensers will include a lock & key per unit this help protect your inventory. Most items ship from Yonkers NY quickly. 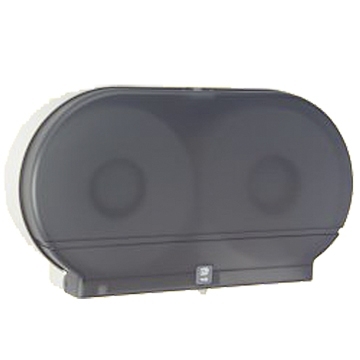 AJ Washroom is also a leading company when it comes to restroom accessories and toilet tissue dispensers. AJ Washroom offers jumbo roll dispensers and standard roll dispensers to businesses around the country. Most products ship in 1-3 weeks from New Windsor New York. Bradley/Mills Accessories founded in 1921 by Harvey Bradley inventing the classic wash fountain. Over the years The Bradley Wash Fountain Company expanded to also produce restroom toilet paper dispensers and more for commercial accessories for bathrooms. Surface Mounted Stainless Steel Toilet Tissue Dispenser is an easy install with great results and easy maintenance for long lasting. For maintenance on stainless steel washroom accessory products this requires regular surface cleaning same as stainless steel sinks, pots and pans. As long as a regular cleaning schedule is followed, the best method is cleaning with a soft clean rag moistened with a mild detergent, followed by a water moistened clean rag and then a dry rag. For a new look, surfaces can be wiped with lemon oil applied by a soft polishing cloth to maintain sheen. This is the best way to keep your investment clean and looking new again. If you have a specific model number from American Specialties please forward to us for a quick quotes and availability. On our website you will also find replacement spindles for a variety of toilet paper dispensers. 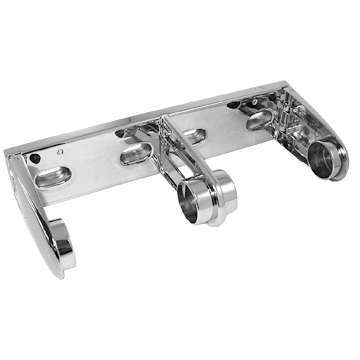 We also have the lock & key for American specialty accessories only which are keyed to E114. We do not sell just the E114 key. Please consider a locksmith for key only. All in stock item are returnable; any special order items are not returnable. 5-5/16" Long x 7/16" Axle Dia.